​Understanding the socio-economic importance of bycatch species to stakeholders is vital in the process of bycatch mitigation and in determining priority species. 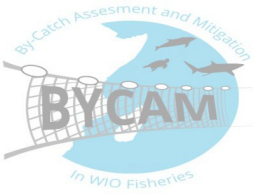 Intensive surveys of stakeholders conducted alongside RBA surveys will collect base data on the monetary and dietary value of bycatch species as a portion of the overall fishery for 6 months. This will build towards having participatory governance framework to promote sustainable fisheries management within the WIO. Gaps in information previously identified from the research will be used to develop context specific governance frameworks to integrate stakeholder-identified management solutions into local and national policy frameworks applying good governance principles and practices. The activity will be conducted at representative sites in Kenya, Tanzania,Mozambique and Zanzibar.